Time to reveal the identity of the mystery seeds from last week. I really thought the bright orange pulp would give these away. They are pumpkin seeds! 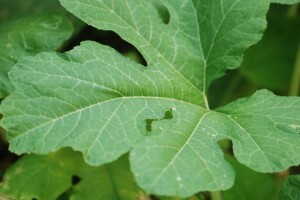 The common name pumpkin is given to several species of related plants. Most often pumpkins are Cucurbita pepo and Cucurbita mixta. 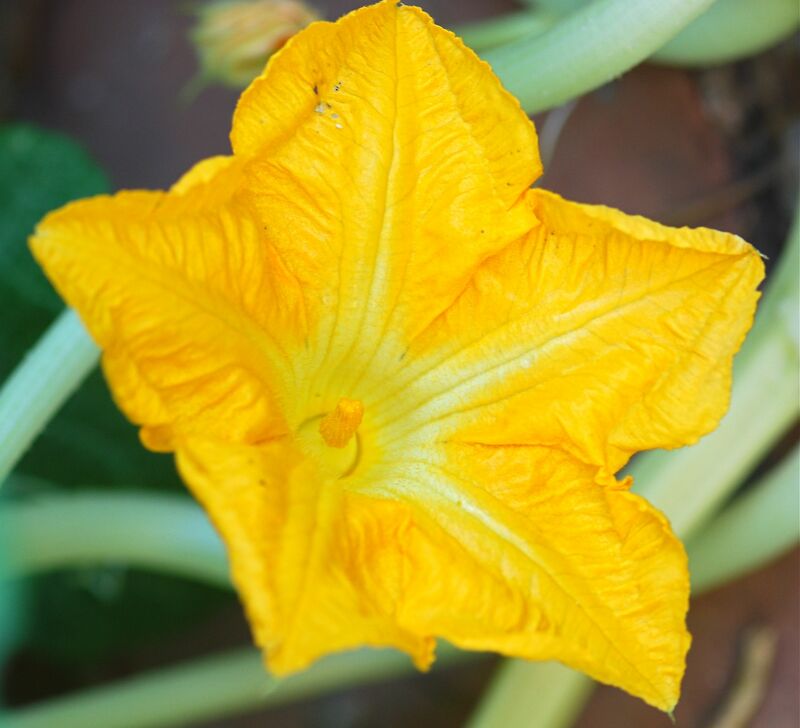 Certain varieties of Cucurbita maxima and Cucurbita moschata may also be called pumpkins. The terms pumpkin and squash can be quite confusing because they are basically varieties of the same thing. Pumpkins are thought to originate from in the New World. The scientists found some preserved ancient seeds in Mexico, which they identified as pumpkins. (Just think, the ability to identify mystery seeds is important when you are trying to trace the ancestry of plants! And you thought we were just having fun). 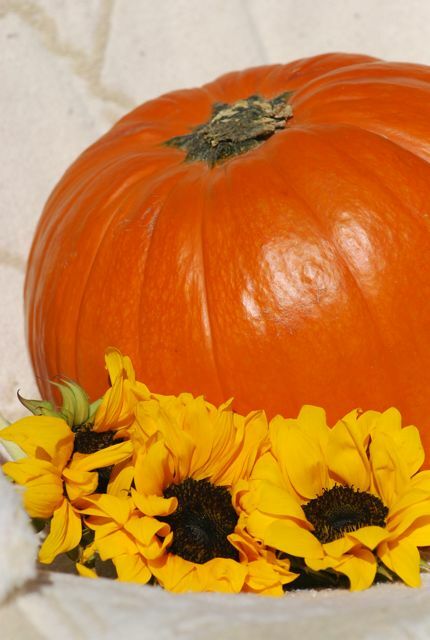 Pumpkins are relatively easy to grow if you have plenty of space in your garden. You can try to save seeds and grow your own pumpkin, but the results might not look anything like what you started with because the plants are often cross pollinated with other varieties. Maybe you'll come up with the next great type of pumpkin. 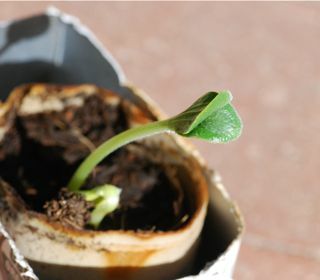 The seeds will sprout even when they are fresh from the fruit, they don't need to overwinter or go through a cold period. The plant is a long, trailing vine with large, lobed leaves. 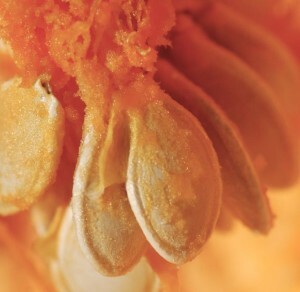 Pumpkins have large, orange five-lobed flower. The flowers are separate, either male or female. if you'd like to try a few simple pumpkin science activities, check Pumpkin and apple science. Pumpkins are such popular plants you can find a wealth of information about them in books and on the Internet. All About Pumpkins website has history, etc. The seeds are edible as well as the fruit. Check this recipe for roasting pumpkin seeds. Pick Your Own has detailed information on how to make a pie from fresh pumpkin. It works! Pumpkin Circle is a wonderful picture book, and the website has classroom activities.